Grab a brand-new Sony Xperia XA2 Ultra at $90 off! Sony's XA series is an interesting beast. They are midrange smartphones with nothing too impressive under the hood. But their design does stand out. Or at least it used to — the original XA was Sony's first step towards minimizing their bezels, with a razor-sharp frame along the left and right sides of the phone. 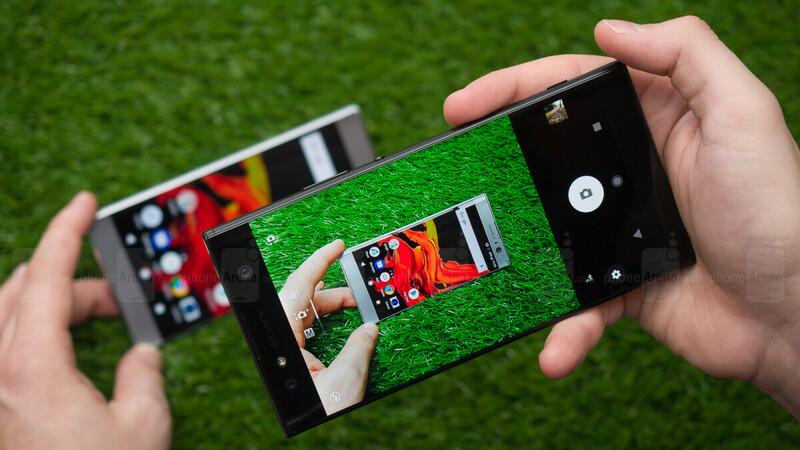 The XA2 and XA2 Ultra are still in that camp — 16:9 screens with super-thin side bezels, but rather bulky "chin" and "forehead". Still, they have that signature Sony look and, we'd say, a charm of their own. In terms of specs, they are in the upper-midrange segment, with a Snapdragon 630 processor and 23 MP cameras at their backs. The XA2 has a 5.2-inch display, while the XA2 Ultra goes all out phablet with a 6-inch screen. The latter also features two front-facing cameras with optical image stabilization and a selfie flash to aid the aspiring vloggers on their social media journey. Sony's midrangers are usually a bit underwhelming just because their price seems to be a bit high. However, we've found this deal here, which gets you an Xperia XA2 Ultra for $359.99, which we'd say is a much better offer than the MSRP of $450 and still cheaper than Amazon's current price of $399. Please, be mindful that this is listed as GSM Unlocked, so it might not work properly with CDMA carriers, such as Verizon and Sprint. I want these phones in my country but sony still not made them available, I hope by 3rd or 4th quater of the year they make it available in my country with this kind of cheap price. Good midranger and nice size, price is a little high though. $299 and I will definitely buy one.